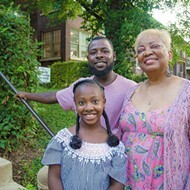 The Hill is getting a new public gathering place across from St. Ambrose. 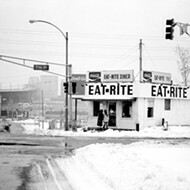 The name synonymous with St. Louis’ square beyond compare is branching outside of pizza. Piazza Imo, an Italian square, is being built in St. Louis’ the Hill neighborhood, just across the street from St. Ambrose. With a price tag between $3 million to $4 million, it will have ornamental gates, benches and chess boards, with a marble fountain and granite walkways that are coming straight from Italy. The committee building it, called Piazza Imo Committee, broke ground this morning. Its members are entirely financing its design and construction, with no tax dollars used. 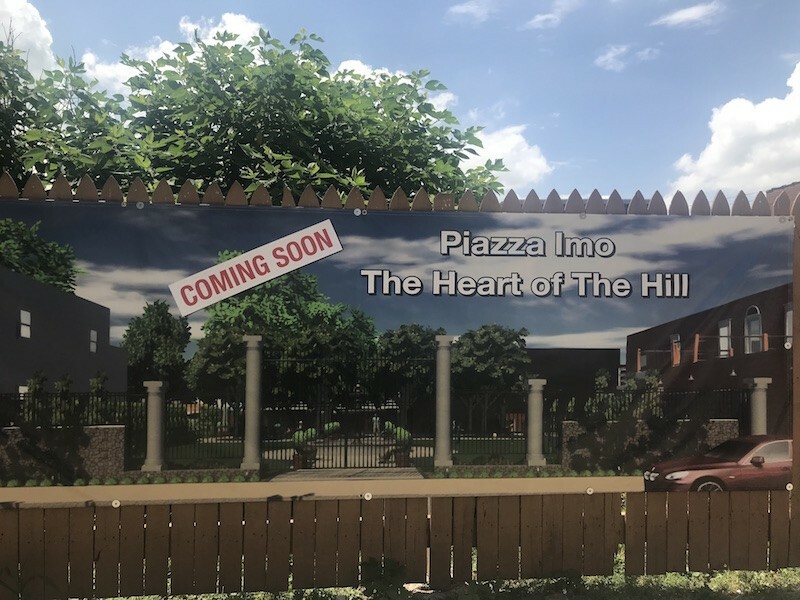 Kennedy Robinson, a public relations manager at ESM Marketing STL, says the Piazza Imo Committee wants to capitalize on the Hill’s rich Italian history with the new square. The piazza's future home, at 5130 Wilson Avenue, is now a vacant lot. Edward and Margie Imo, two of the eleven members of the committee, bought the lot where the piazza is being located for the group, Robinson says. Similar to piazzas in Italy, this one will be near a neighborhood church: St. Ambrose on the Hill. 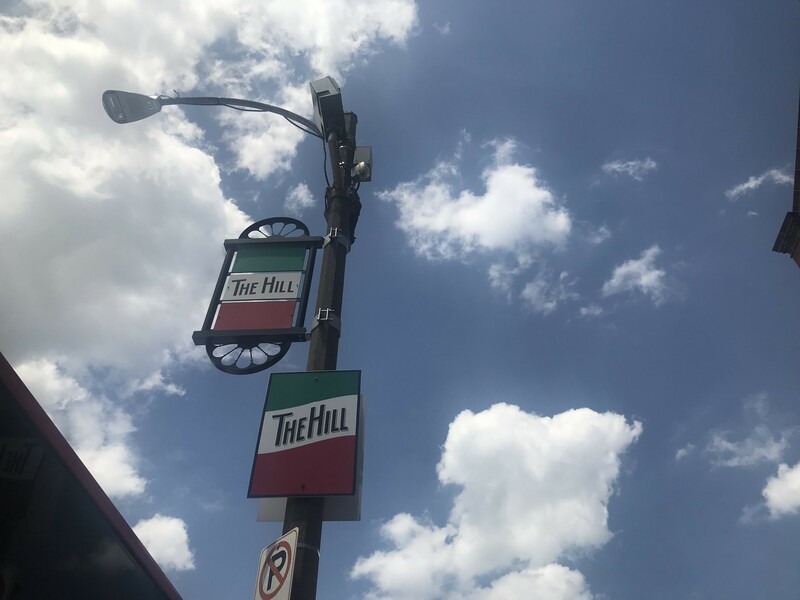 Robinson says the Piazza Imo Committee wants not only to create a central gathering space for the Hill neighborhood, but also an environment for learning. 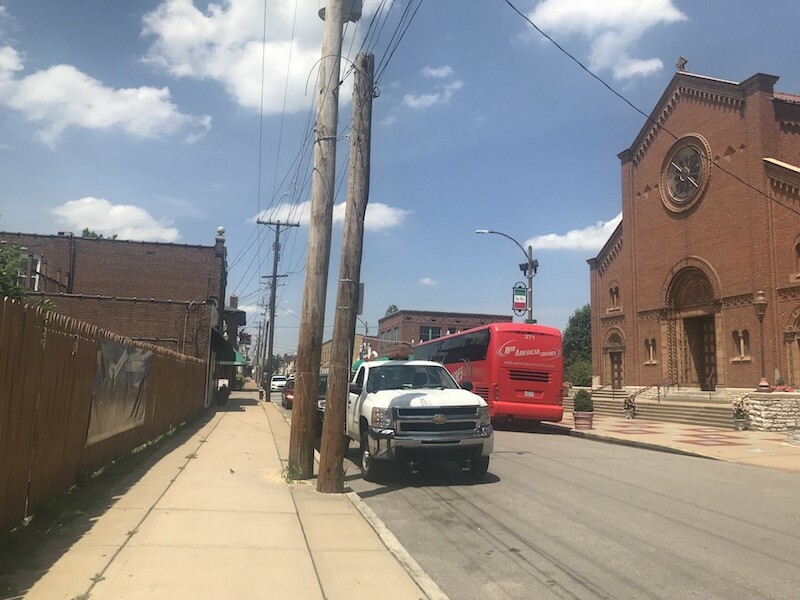 The committee plans to have students at St. Ambrose School, the Roman Catholic elementary school attached to the church, use the piazza for their education as well. “The Piazza Imo Committee also felt inspired to provide an inviting outdoor space for educating children, especially when it comes to STEM related learning,” she says. The committee hopes to have the piazza open to the public by this fall.